Amazon CEO Jeff Bezos wrote a blog post on Thursday accusing National Enquirer publisher American Media Inc. (AMI) of trying to extort him over naked photos of him. AMI sent Bezos emails describing the photos it obtained of him and the former news anchor Lauren Sanchez, Bezos said. These are the emails that Bezos said were sent to “blackmail” him. On Thursday, Amazon CEO Jeff Bezos wrote a Medium blog post revealing the emails that he said were sent to blackmail him. In the email, American Media Inc. (AMI), the publisher of the National Enquirer, threatened to publish personal photos of Bezos and the former news anchor Lauren Sanchez, including a naked selfie of Bezos, Bezos said. In January, the National Enquirer, a longtime ally of President Donald Trump, published an exposé on the affair between Bezos and Sanchez. After that, Bezos hired investigators to look into who leaked his personal photos and texts. AMI threatened to publish these photos unless Bezos and Gavin de Becker, Bezos’ security boss leading that investigation into the exposé, made a public statement that they “have no knowledge or basis for suggesting that AMI’s coverage was politically motivated or influenced by political forces,” Bezos said. AMI also said it would keep those photos, Bezos said. “Of course I don’t want personal photos published, but I also won’t participate in their well-known practice of blackmail, political favors, political attacks, and corruption. 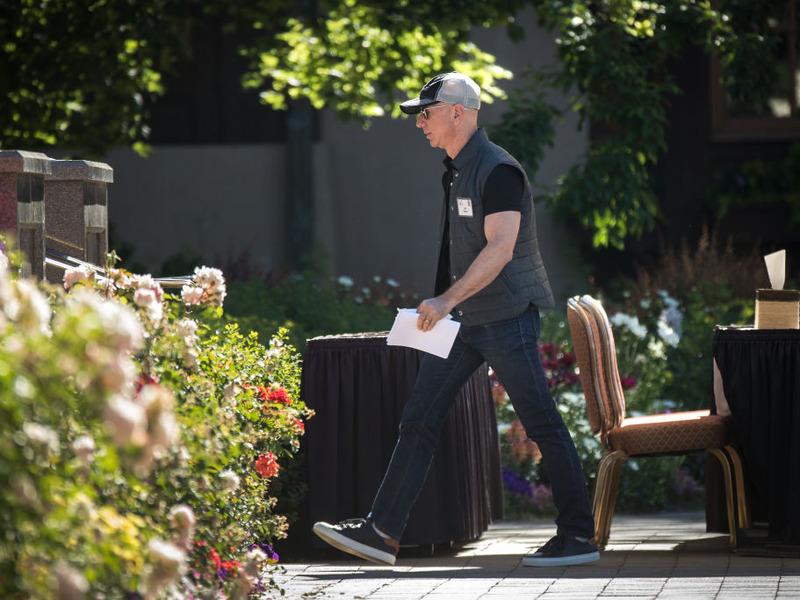 I prefer to stand up, roll this log over, and see what crawls out,” Bezos wrote. Here is the email that Bezos said he received from AMI, describing the photos.